If you are local to the Montgomery, AL area, join us at the Goodie Godmother home studio for a decorating class! Class topics vary each month, and unless otherwise noted, are suitable for beginners. Classes are hands on, with each student decorating as different techniques are explained. Class sizes are small, so there is plenty of opportunity to ask questions. Parent/Child Cake Pops! 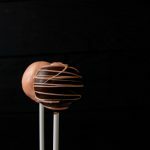 – Learn the basics for making cake pops, including shaped cake pops in this class geared towards kids… but still fun for parents! Best suited for children age 7 and up. 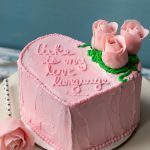 Date: Feb 9 – 2-4 p.m.
We will cover the basics of cake carving in this class and techniques for frosting shaped cakes, make cake pop roses, and talk about pretty writing with frosting! Date: Wednesday, February 13 6:30 -8:30 p.m.